Step aboard luxury Yacht Northern Lights decorated in full holiday decor and enjoy a romantic evening cruising around Boston Harbor. This 90 minute cruise is a great date night option or perfect for friends or family looking to get out and celebrate the season. 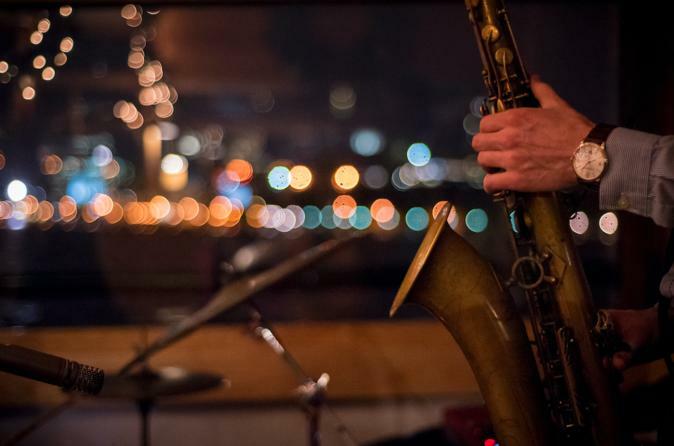 Enjoy stunning panoramic views of Boston Skyline and surrounding area and see the city lights twinkle at night as you enjoy some new and classic holiday jazz songs. Enjoy the buildings of Downtown Boston such as: Custom House Tower, International Place, Independence Wharf, and the New England Aquarium. The Bunker Hill Monument, which sits behind the U.S.S Constitution. Check out the colorful lights on the buildings in Boston's Seaport District such as: the new Vertex Building, World Trade Center and the Institute of Contemporary Art.